If you've ever tried to edit source code in a stock text editing application, you've no doubt discovered how limiting they can be. To meet all of your requirements, and to make your coding life easier, you need a text editor that thinks ten steps ahead, anticipates the features that you need, and delivers additional, custom-tailored functionality. HippoEDIT is the Alex Rodriguez of text editors, and by that you know EXACTLY what I mean ;-) With HippoEDIT, everything you need as a developer is right at your fingertips. Seriously. You no longer even need to switch apps to browse the internet or locate files! 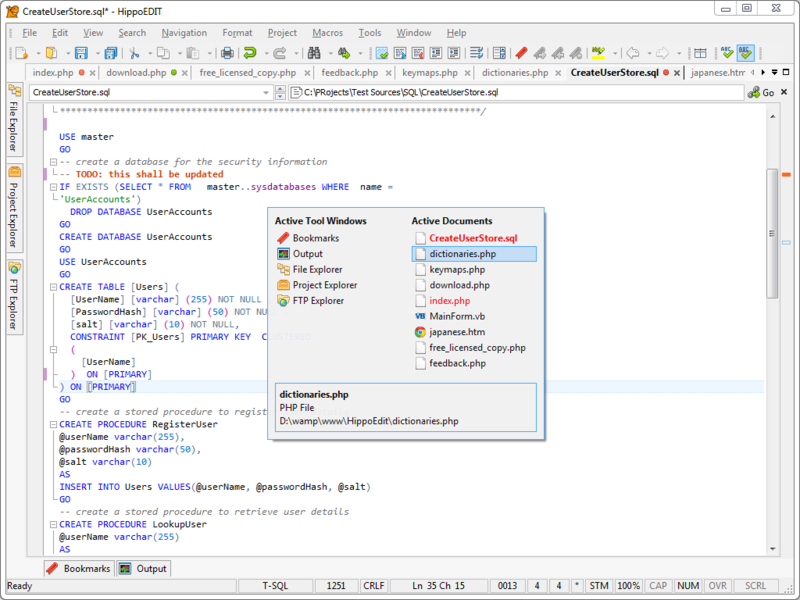 HippoEDIT's tabbed interface allows you to work on multiple tasks at once, and pre-defined syntax highlighting makes working with PHP, Perl, Java, Pascal, C/C++, HTML, XML, and XSLT code a breeze (you can even add support for additional languages using custom syntax files). But HippoEDIT's support for multiple programming languages doesn't end with syntax highlighting. 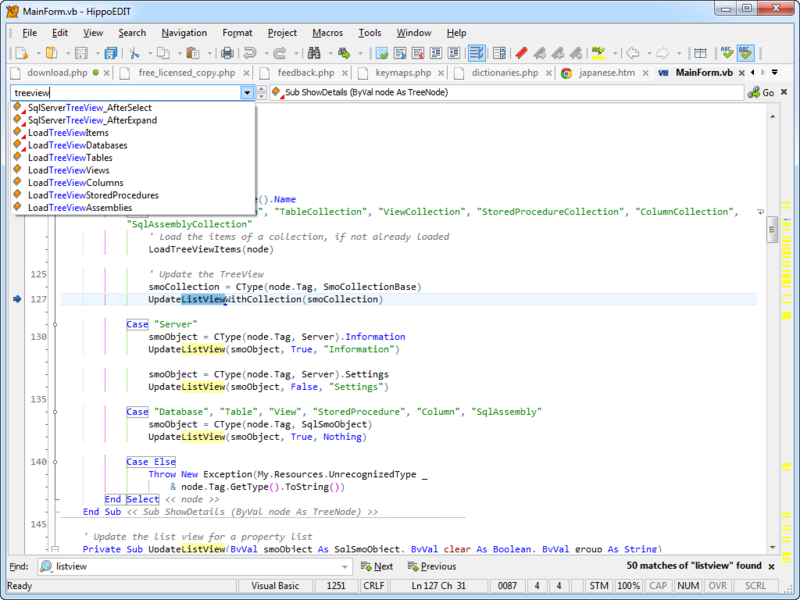 HippoEDIT works with you to make coding in these languages much more streamlined, with more than 160 integrated commands, customizable keyboard shortcuts, code auto-completion, real-time code hints, and a sophisticated code templates engine. You'll discover new, faster ways of coding no matter what language you use! 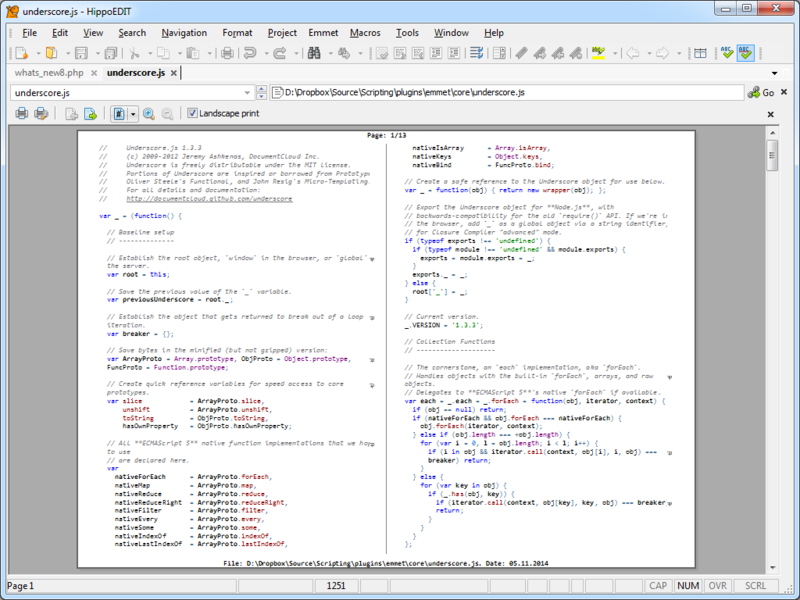 HippoEDIT provides an array of code analysis tools, such as source code outlining, current scope and change lines indication, mismatching brace highlighting, indent guides, and much more. 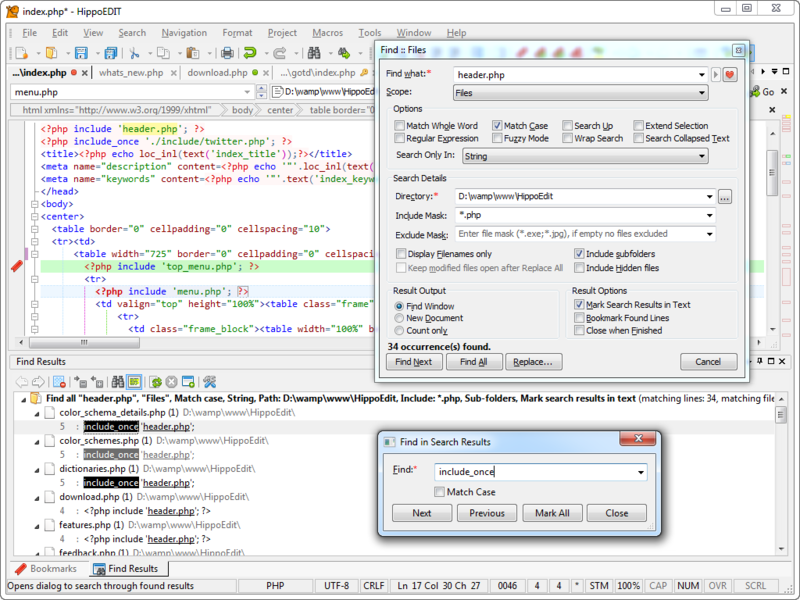 Sophisticated clipboard functionality allows you to copy and paste syntax-highlighted code directly into other applications, perform advanced search and replace, step through multiple levels of undo/redo, and paste code as HTML directly into an editor. 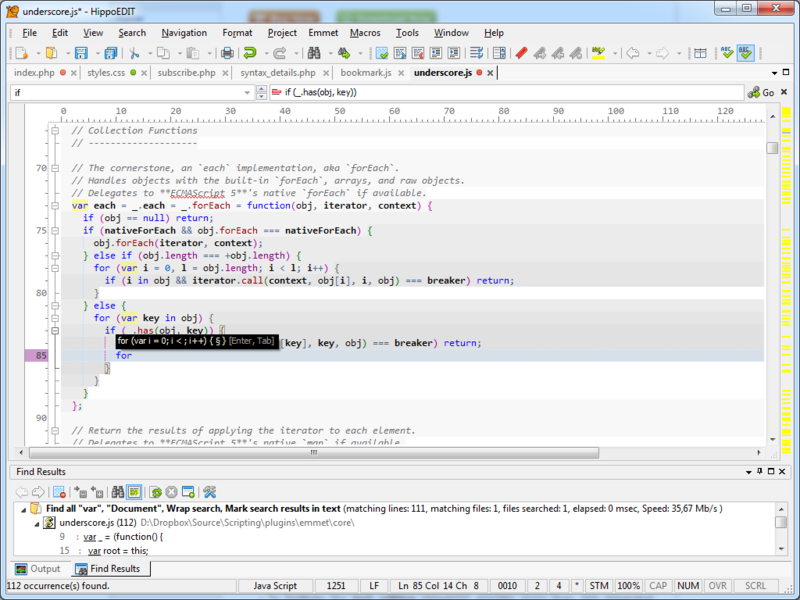 Grab a copy of HippoEDIT, and say hello to a whole new level of coding efficiency! 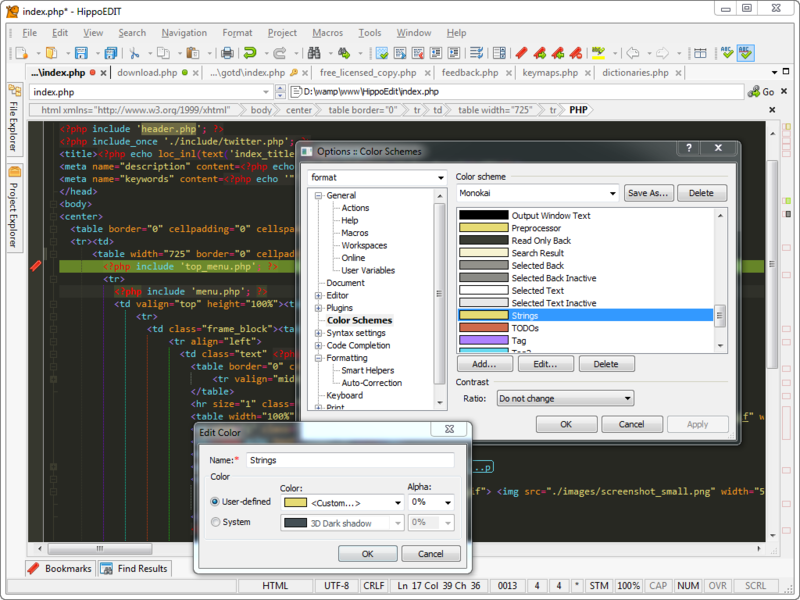 Edit code more efficiently when working with PHP, Perl, Java, Pascal, C/C++, HTML, XML, and XSLT code. 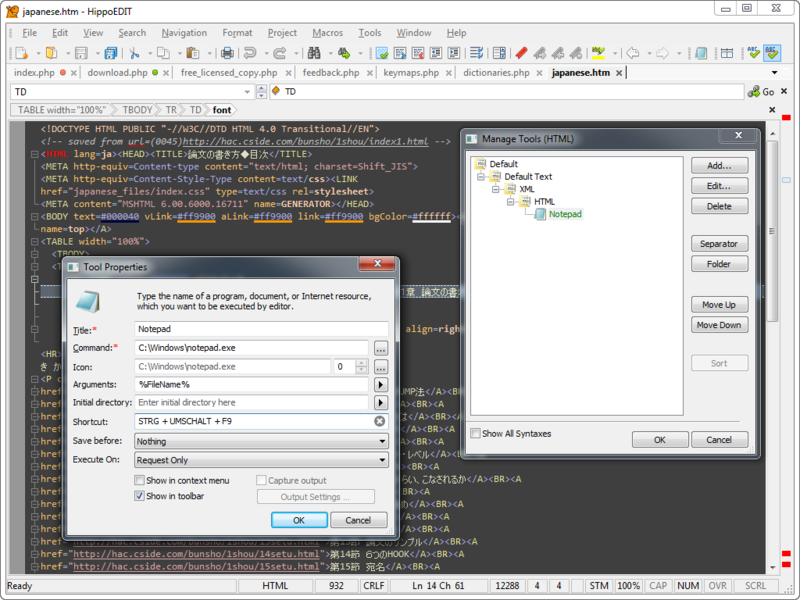 Work on several tasks at once using a next-generation tabbed interface. Take advantage of syntax highlighting, and work smarter using more than 160 integrated commands, customizable keyboard shortcuts, code auto-completion, real-time code hints, and a sophisticated code templates . 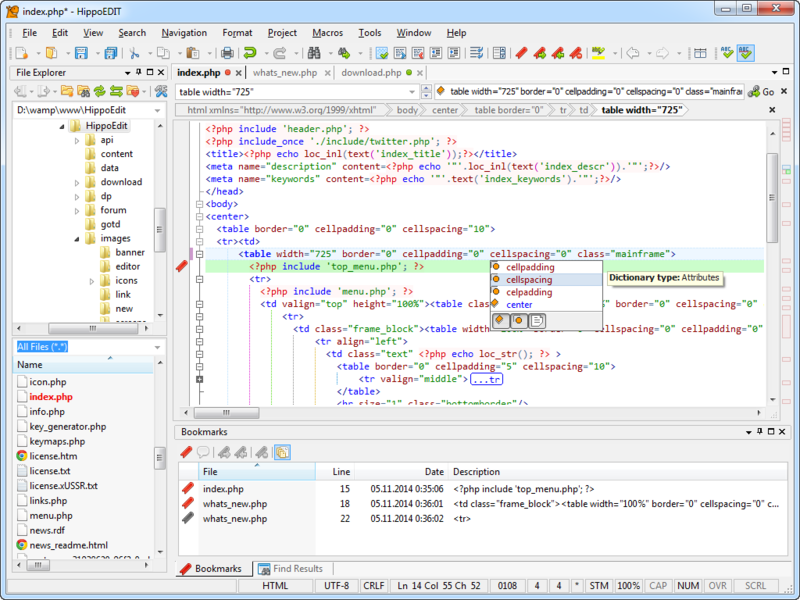 Use an array of code analysis tools to debug code more quickly than ever before. Benefit from advanced clipboard functionality. After you purchase HippoEDIT it may be used indefinitely. HippoEDIT is licensed per user, so if more people are going to use HippoEDIT you will need to purchase additional copies. 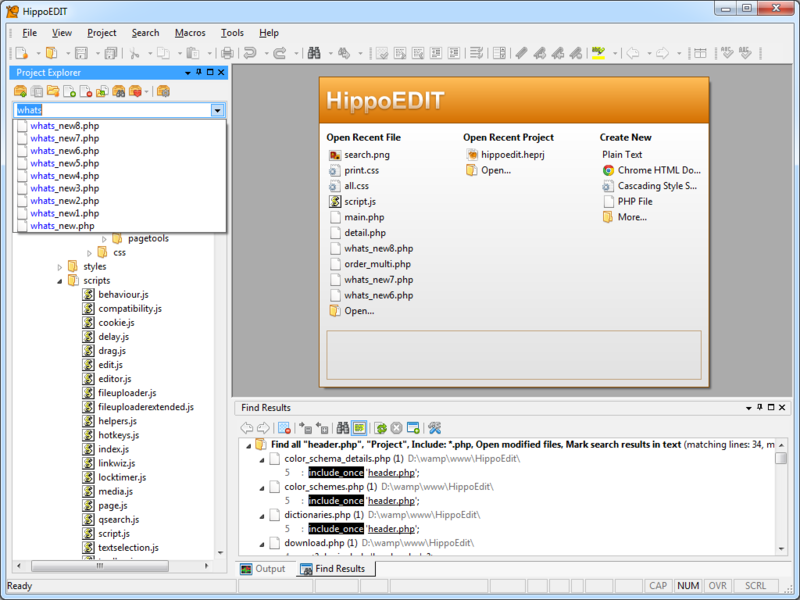 Each license allows installation on all owned computers, and HippoEDIT may be used at exactly the same time on each of them. “I just wanted to take a moment to thank everyone responsible for HippoEDIT. I've been using it for several years now and this tool has always exceeded my expectations. Congratulations on creating and maintaining a great product! - register on forum and leave there a comment about not received license. I had lost my internet connection and coudnt come on bitsdujour to buy the 2 license yesterday, despite the little annoyance. But I am writing to you on your site. Peggy Robinson @Alex Can you tell me where there is a replace with button when I want to replace a whole series of colors? I know too late to get the bargain price. Alexander Gapon @Peggy Robinson: it is in Find/Replace dialog. Press Ctr+H to get it shown. Peggy Robinson @alex thank you. I appreciate the info. I worked around my way of getting the preview to show at the same time as the source. Now I will know how to work with it when I purchase perhaps the next sale time. God bless you for being patient. 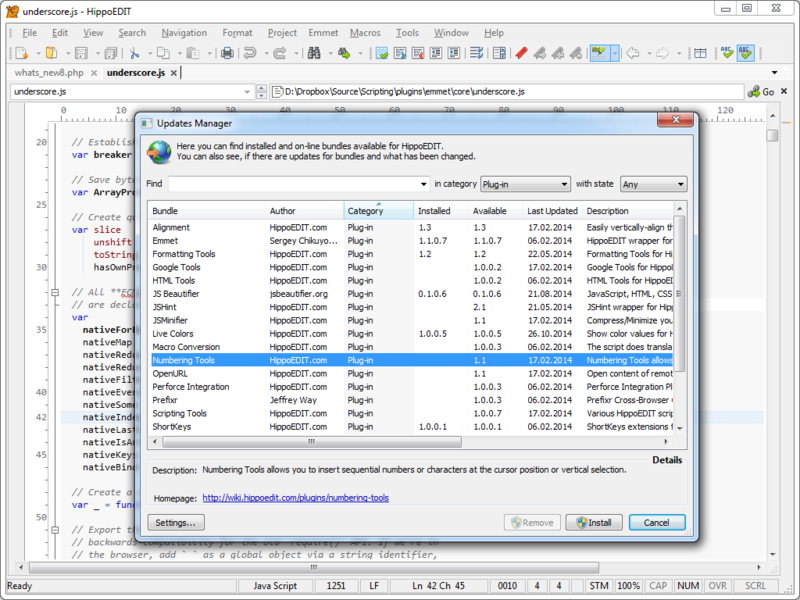 Alexander Gapon @Peggy Robinson: Yes, this can be also call Find/Replace dilaog using main menu Search -> Replace... In addition to shortcut I have given. But I think, BDJ as non HippoEDIT dedicated site, is not a proper place to go in deeper details of HippoEDIT, while probably this is not in much interest for other readers. Better to do it on HippoEDIT forum or using mail. Ronald Schwartz Thanks for your quick reply! Andrew Tate Got this in the deal of the day on 17th Feb. So far really impressed with it. 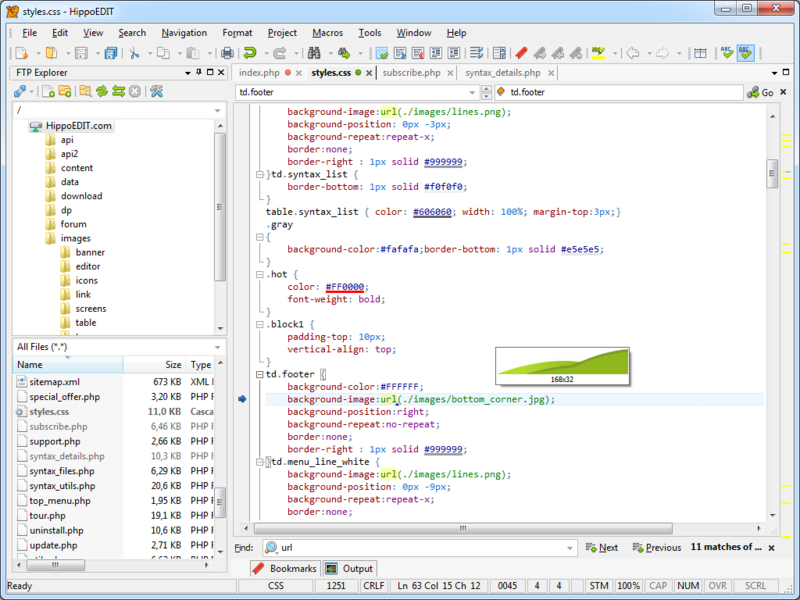 Most if not all code editors do the basics so what distinguishes HippoEdit? Well it has my essential little extras like: column mode selection and editing, line sort, spell check, macros, syntax highlight, auto complete. Like the interface and its very customisable by the user. Also nice how when selecting text hidden CR and CR/LF show up even if they are not selected to show normally. Very neat touch that. Shows a lot of thought is still going into HippoEdit. Off to find out some more. UltraEdit had got too big for my liking and HippoEdit may just fit the bill - and it runs from my usb stick if you select option for saving config files when first installing..
try once more, I have updated permissions for the board. Previously it was open only for Registered users. I got several delivery reports, mentioning that License Key cannot be delivered, because the mail host is blocking incoming emails from HippoEDIT.